Using default configuration or wrong configuration is the reason for low internet as well as wifi speed in the high-speed router. to avoid performance issue in your nighthawk 4G hotspot router see the quick user manual for Nighthawk 4G Hotspot WiFi Router Configuration to make faster internet speed and stable performance. Netgear Nighthawk LTE Mobile Hotspot Router is SIM-based 4G hotspot router with Dual band 2.4GHz and 5 GHz wireless. Nighthawk MR1100 is portable hotspot router with 1 Ethernet and 1 USB port. Nighthawk is the best portable Wi-Fi router for gaming purpose to the faster experience. Best thing having Dual TS-9 external 3G/4G antennas connectors to increase the 4G signal connectivity to get faster 4G/3G internet speed. 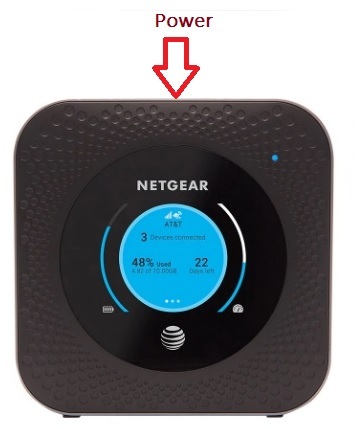 In this post, you will get Nighthawk 4G Hotspot WiFi Router Configuration and Setup quick user manual for the first time. If you are looking to buy portable hotspot router under $200 than Nighthawk can be best 4G hotspot router option for you. Before going to start I would lie to the brief description about the specification of att nighthawk LTE mobile hotspot router. Nighthawk Mobile Hotspot Router Hardware Feature. 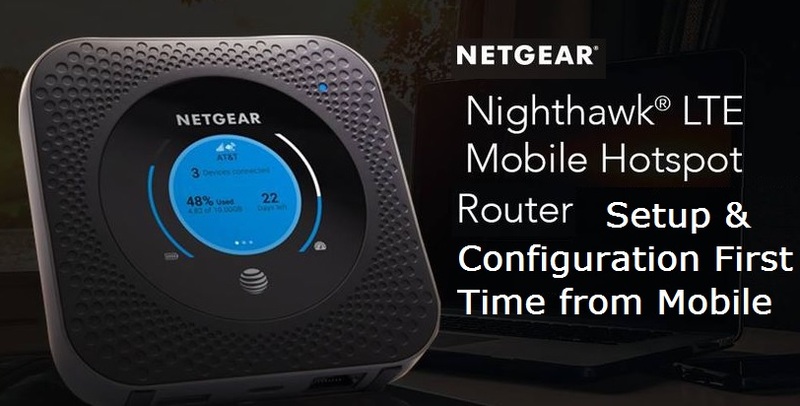 If we look physical to nighthawk 4G router than we get some awesome option with it. Nighthawk hotspot router having a front 2.4” LCD panel to get information about settings on the screen. 1 Physical Ethernet port to connect wired Desktop or Laptop for internet connections. Two USB port USB C-type for Pen drive and PC connection and USB A for charging type to using as NAS servers. Two TS9 connectors to connect the 4G/3G antenna to improve the signal strength of 4G. Inbuilt internal 2.4G and 5.8G Wi-Fi antenna. 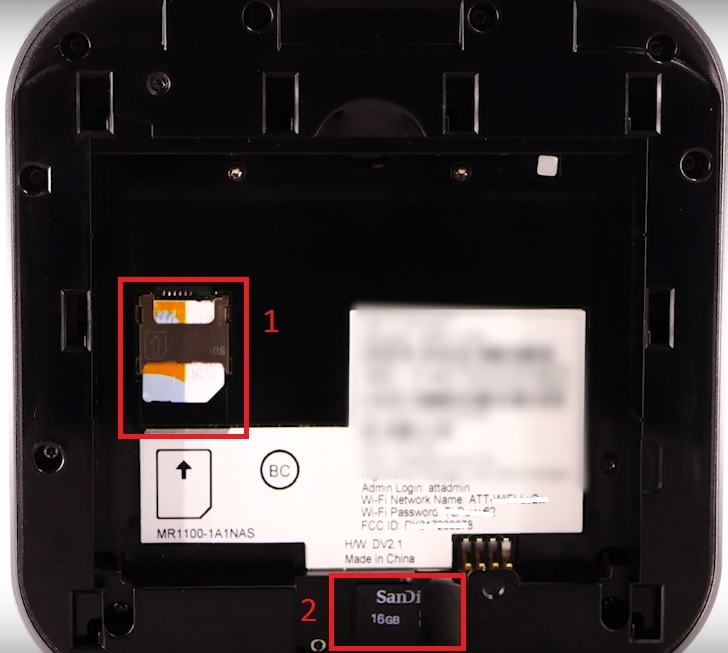 Support 1 SIM and 1 Micro SD card below the battery. 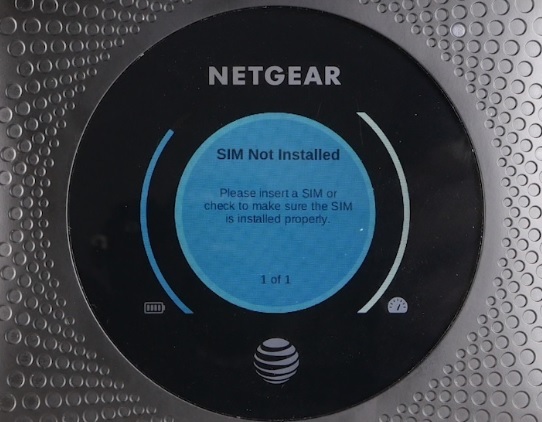 1 Reset button available for hard reset 4G router. 5040 mAh battery gives all day’s mobile connectivity. Nighthawk Mobile Hotspot Router Software Feature. Nighthawk hotspot router fully supports an interesting and important feature software side. Configuration support Web browser and Mobile apps. Having Dual Band 2.4G and 5.8G WiFi with supporting multiple SSID. Nighthawk MR1100 Hotspot router comes with different parts so required to assembled first to use it. I have divide router into different assembling parts to make it easily understandable. 1: Nighthawk LTE Mobile Hotspot Router SIM and Memory card installation. TO insert SIM card and MicroSD card in Nighthawk 4G router open the box and take the router in your hand and follow the steps below. Nighthawk 4G Hotspot WiFi Router Configuration only can be done after assembling and inserting SIM card to make it work. Step1: Turn Nighthawk Router Backside and remove the back cover. Step2: Remove the batter if you already insert or first-time batter comes in different packs. If you on Nighthawk hotspot router without sim you will screen like this in showing below image. 2: insert MicroSD card this space using direction showing on the router. Once you have to insert SIM card properly now take the battery on hand and put properly toward match router battery point with battery connectors. Now your Nighthawk 4G hotspot portable Wi-Fi router ready for configuration. After complete assembling of Netgear Nighthawk LTE 4G hotspot router now start configuration using mobile apps. 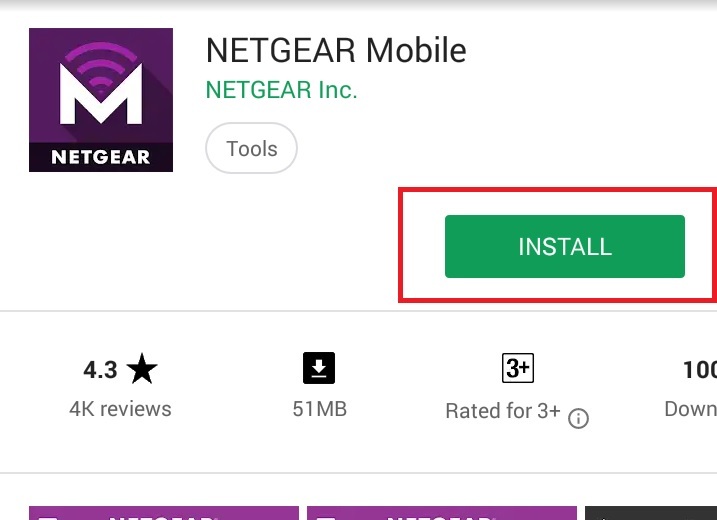 1: Download Android Apps from Play store and iOS app from App store free to the configuration of Nighthawk hotspot 4G router. 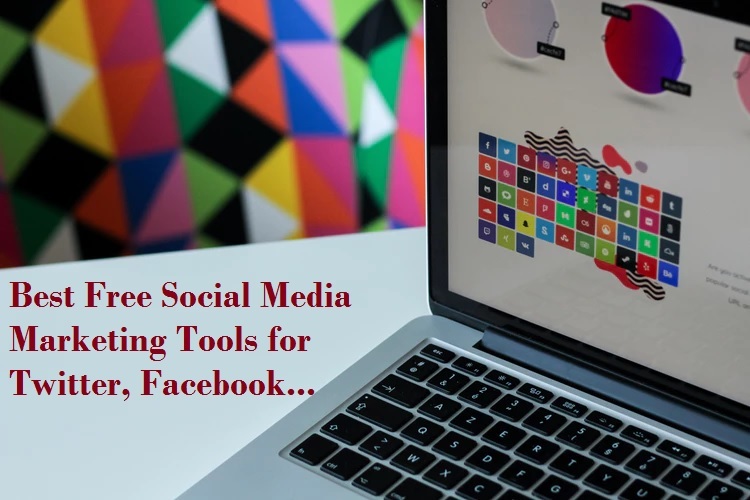 After download install the apps in your mobile. 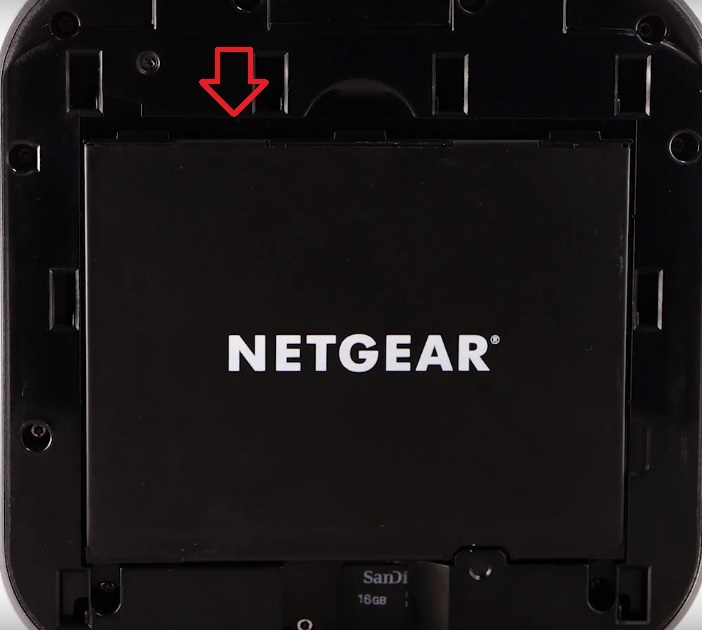 To power on the Netgear M1100, hotspot router see the power button on top. Press the power button to turn on Nighthawk LTE router. To check default Wi-Fi name and password of nighthawk router see the hotspot router screen flashing information as shown below image. 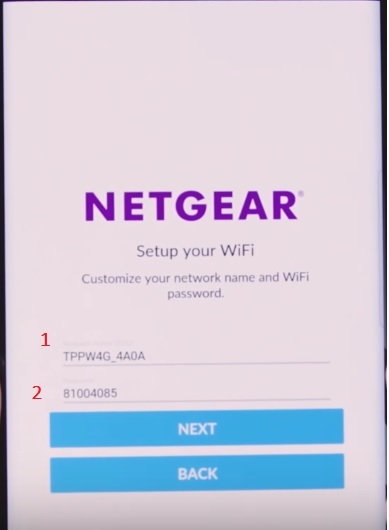 You will get the Default WiFi name and WiFi password in Nighthawk hotspot router from screen to connect the first time. Open Netgear Mobile in you smart phone to configure Netgear Nighthawk 4G hotspot router. 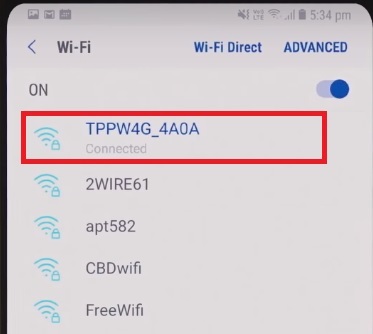 Connect the Default Nighthawk 4G router Wi-Fi name showing in your 4G router Screen “TPPW4G_4A0A” showing in your mobile WiFi. 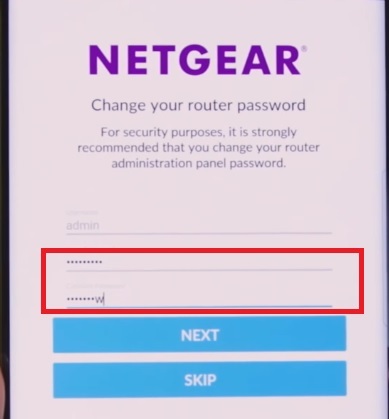 Use the Default WiFi password showing on Nighthawk screen to connect your LTE 4G hotspot router. 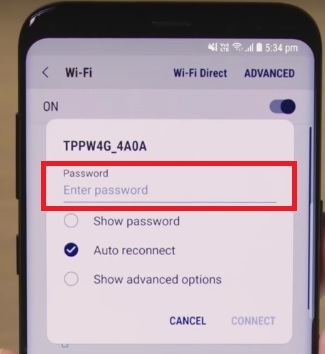 One your mobile connected to LTE 4G hotspot WiFi you will get the option to change the default login password recommended the first time. Password– use the new password and confirm the password. Press Next button to go next configuration steps. As Nighthawk hotspot router support dual band wifi so we have to configure 2.4Ghz and 5Ghz wifi name and password one by one. After click next on password change option you will get first 2.4GHz wireless configuration option. Customize your network name and WiFi password. 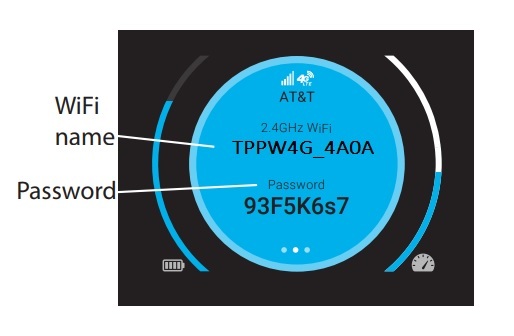 2: Type the password for the 2.4GHz Wi-Fi name. Click Next button to repeat the Wireless configuration for 5.8GHz WiFi name and password configurations. 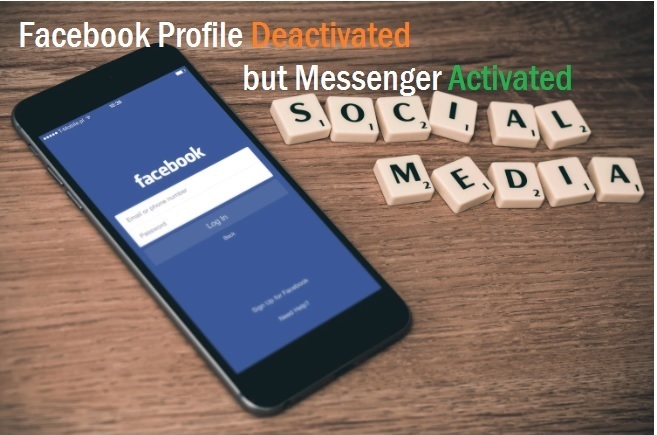 Once you have configured the 2.4G and 5G WiFi name and password you have to connect mobile with new wifi name and password. 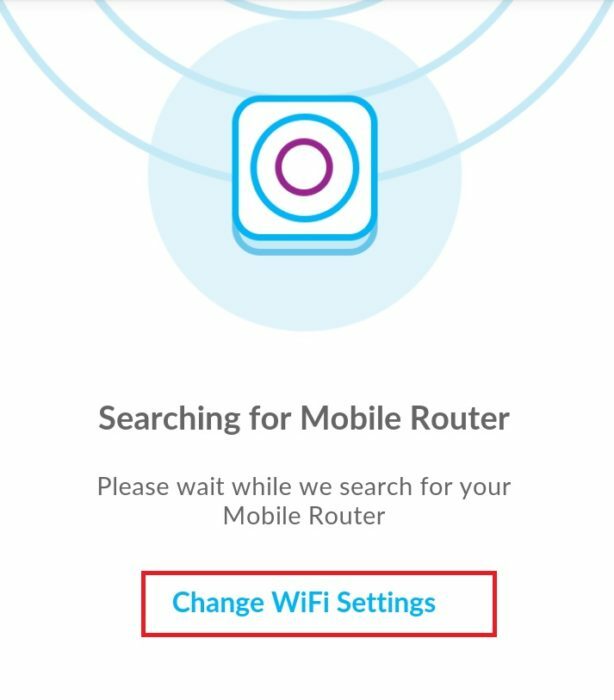 This is the important steps for maintenance purpose or need when you forgot your WiFi name or access details. Nighthawk LTE 4G hotspot router reset to default is easy and can be done with hard reset as well as soft reset. 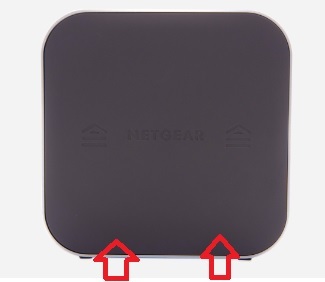 To making your nighthawk mobile router to default settings you need to remove the back side cover first. Take the needle and press the reset button in small whole for 3-4 second as sowing in below image. After few second your router will sound and reboot with factory default settings. 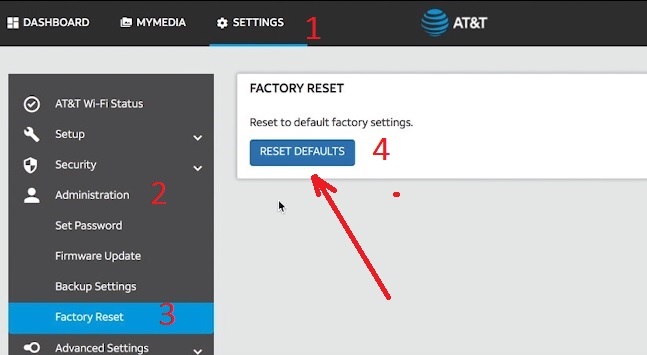 To make the factory reset using web interface Nighthawk router required to login using IP address. 2: Enter http://attwifimanager or 192.168.1.1. 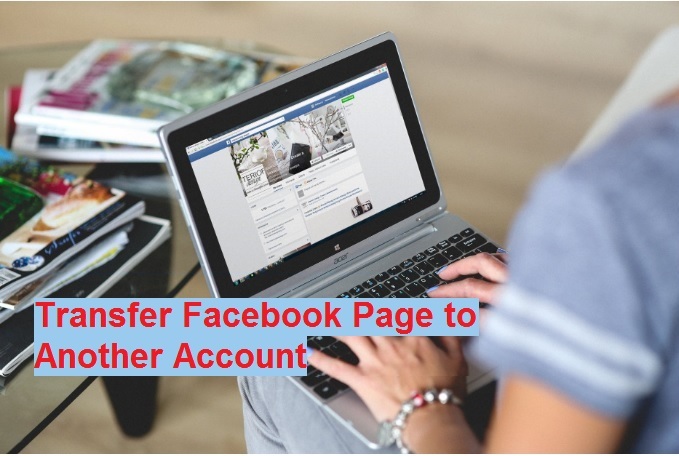 3: Enter the administrator login password. Select 1–SETTINGS > 2 : Administration > 3:Factory Reset. When prompted, click the Yes button to confirm. After rebooting the device will take a few seconds to restore in factory settings. Now access again with factory settings. Enjoy the 4G internet speed as well as faster gaming experience with Nighthawk 4G hotspot router on the way. 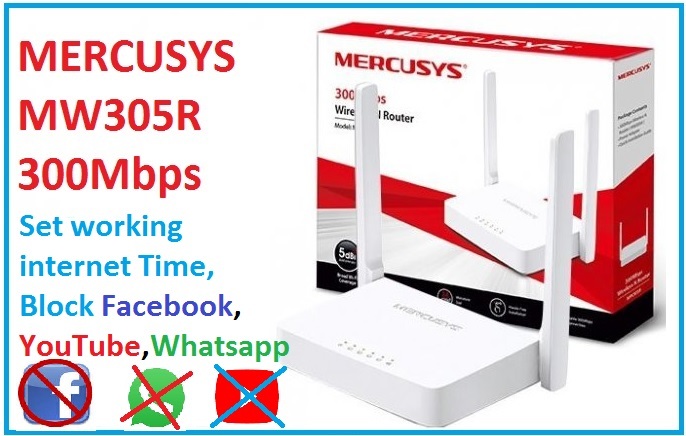 Hope after following this Nighthawk 4G Hotspot WiFi Router Configuration and setup steps you get the better performance as well as internet speed.